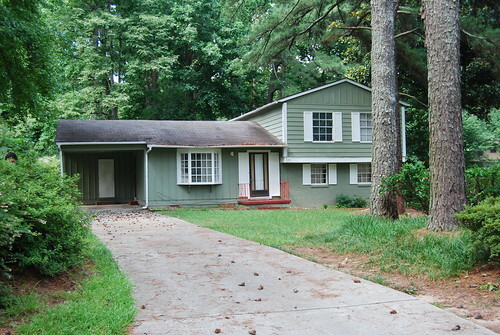 In August 2009, my husband and I bought a 50 year old fixer-upper house in the suburbs of Atlanta. It was built in 1960 and is a 3 bedroom/1.5 bathroom split level. After being a rental property for three years, it wasn’t in the greatest condition. We have been slowly fixing it up in order to make a nice home for us and our family. We really love the house and the location, and are excited to see the potential of what it could be. In the meantime, we’re learning a LOT about houses and also learning that fixer uppers are very expensive! To read about our adventure in buying the house, click on this link. The rest of this blog will be about our adventures in fixing it up. :-) Join us in our journey as we learn all about houses and do-it-yourself projects!